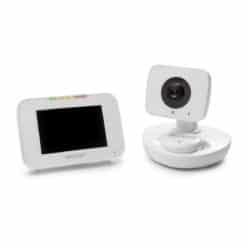 The Baby Delight 5″ Video, Movement and Positioning Monitor (Model BD4020) is the first dedicated monitoring system to deliver real-time baby Movement and Positioning information directly to your video monitor. 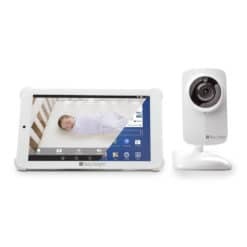 There is no smartphone or app needed with this product. 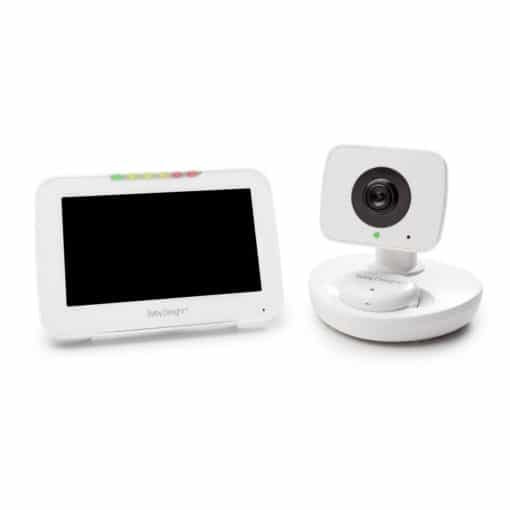 This model comes with a 5″ LCD screen video monitor, camera and wearable unit. The wearable unit is already synced to your video monitor when you take out of the box. 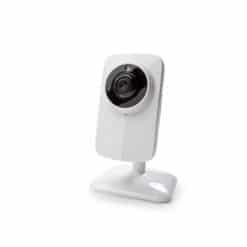 The wearable unit sits on re-charging base on camera when not in use. 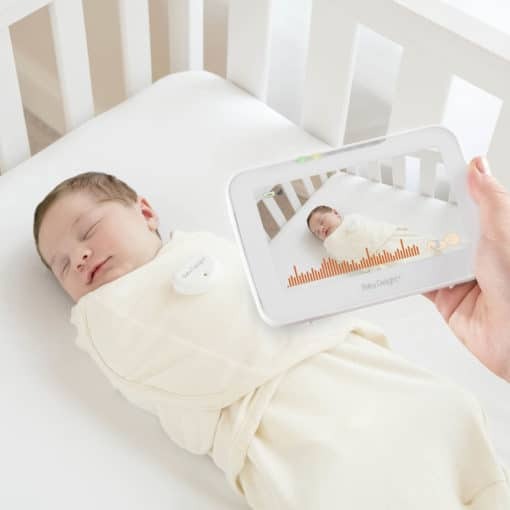 When it is time for bed, simply clip the wearable unit to your baby’s onsie or pajamas. 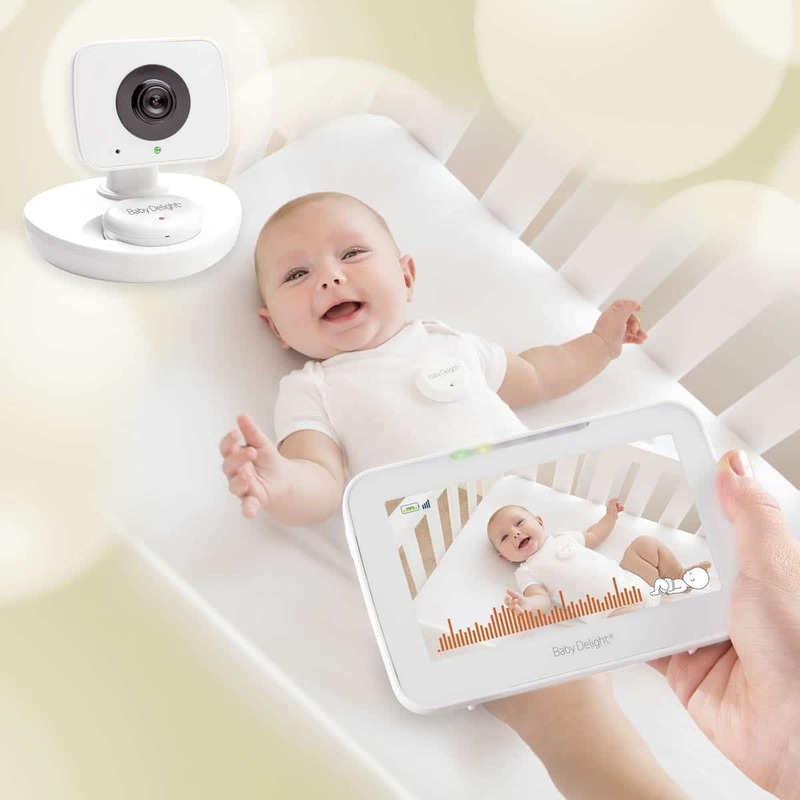 Instantaneously, you will begin to see movement bars on the video monitor showing movement. In addition, you will see icon on video monitor showing whether your baby is positioned on their back, side or stomach. 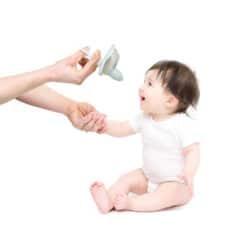 The National Institute of Health (NIH) research shows that “Babies sleep safest on their backs”. 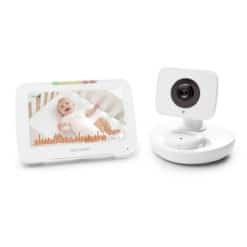 This product delivers the peace of mind of knowing exactly how your baby is sleeping at all times. If the wearable movement unit does not detect movement after 15 seconds, both the wearable unit and video monitor alarm will sound. 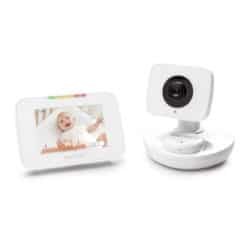 As you child grows older and stronger, you can easily turn off the wearable unit function on video monitor and continue to use product as a standard video monitor.